If there's one thing I love about being a blogger, it's the weird and wonderful opportunities that land in my inbox. Oh, and this was wonderful! 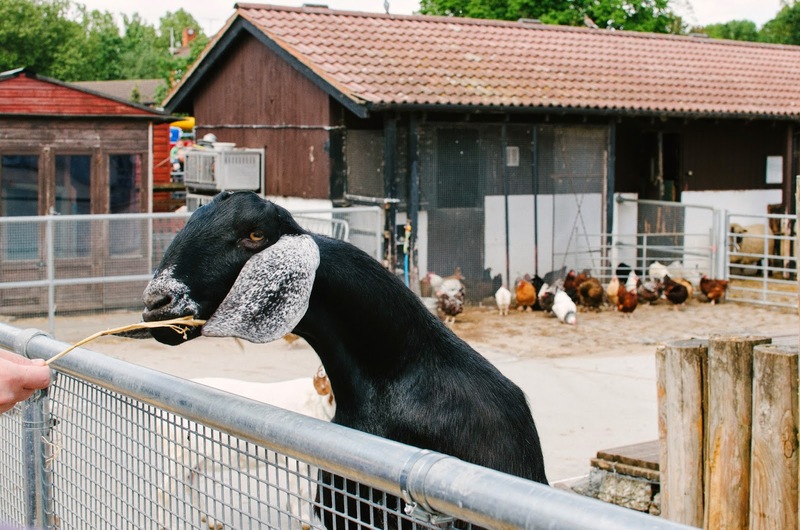 Last weekend, I was invited along to Surrey Docks farm to see all of the cute animals and meet the guys at the RSPCA who do such an amazing job at rehoming animals. I took along my sister who was just as excited as me and we set off to make the journey from East to South East London. 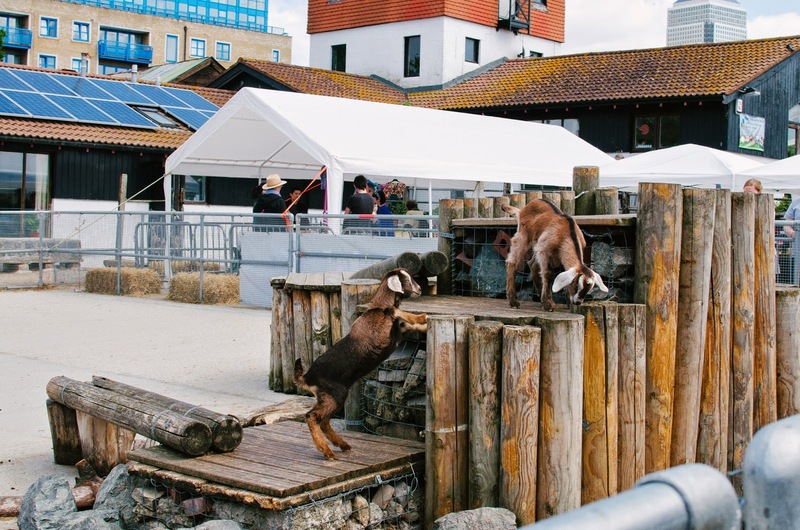 The farm is a 15 minute walk away from Surrey Quays overground station or a 5 minute bus ride from Canada Water. It's situated right in front of the Thames which you can walk along. Perfect for a summery day out in the city. We arrived to lots of excited kids running around but I was just as excited! We got to see some mangalitza pigs which are essentially pigs with a sheep's coat. Weird! I caught one below! 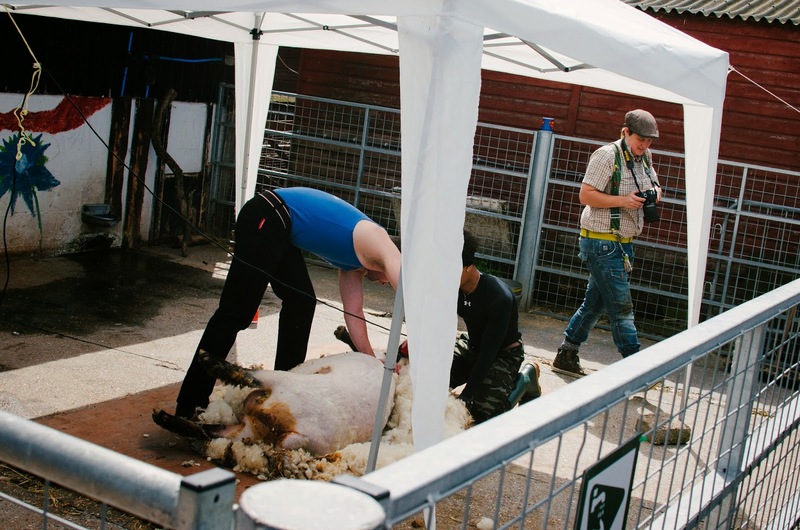 We got to watch a live sheep shearing demonstration which was a little uncomfortable to watch as it looks a lot worse than what it actually is. 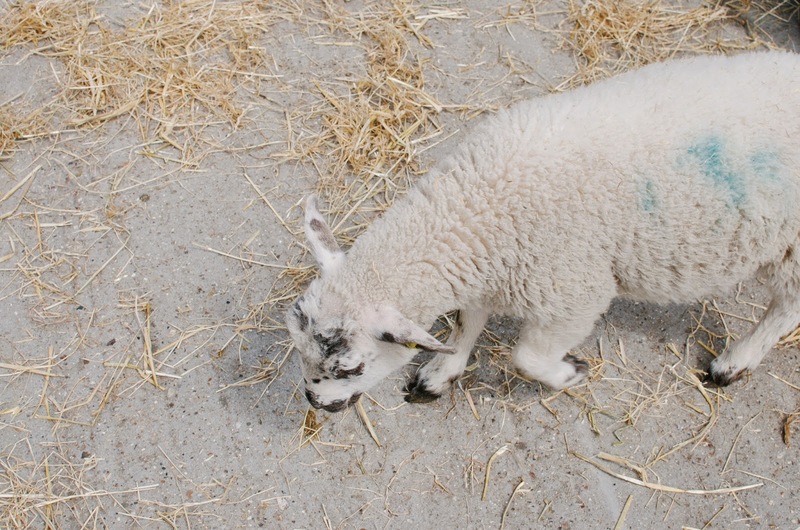 This poor ewe was really stubborn and wouldn't sit still but imagine the relief she must have felt afterwards! I have decided I really love goats. I know baby goats are called kids and for good reason! They were jumping all over each other, pushing each other off the platforms and trying their best to jump onto other platforms too high for them. So funny to watch! 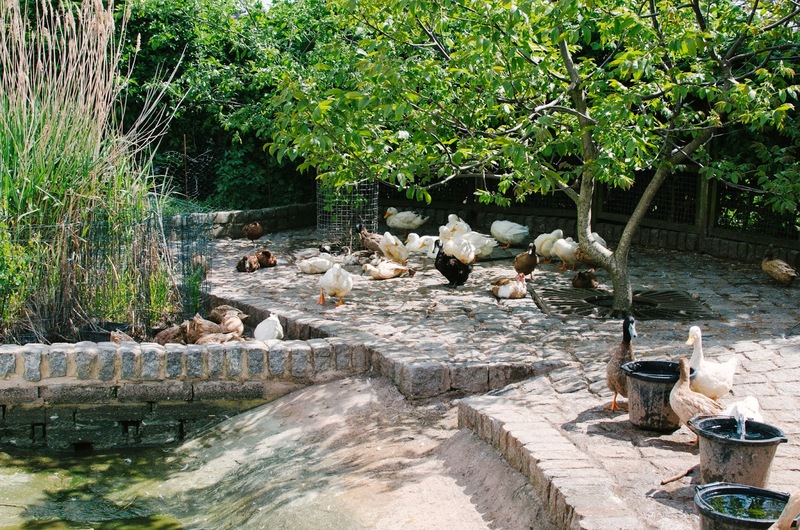 We then found loads of ducks and geese just bathing in the sun, before moving onto the petting farm which I WAS SO EXCITED ABOUT. 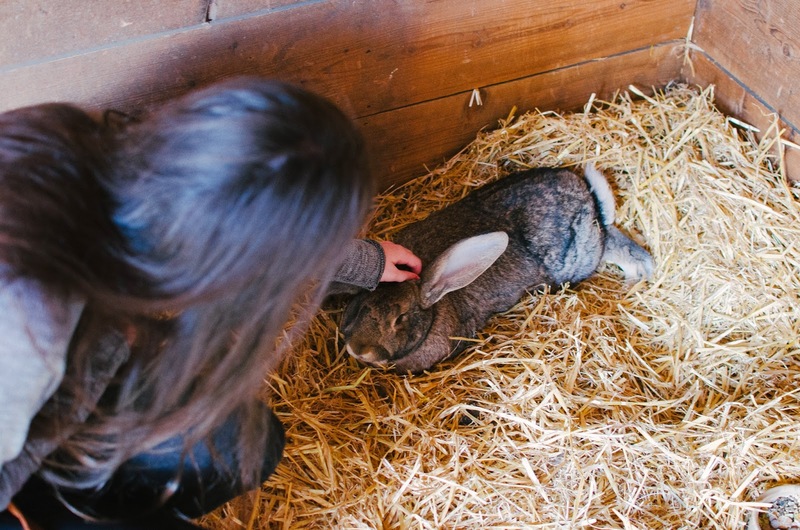 We have a rabbit at home who we rescued a few years ago but he's not very... friendly. It's more my sister's rabbit so when she saw this giant (and friendly) fluffy rabbit, she couldn't help but say hello! Sadly, we didn't get to feed the lambs with milk like we were hoping but we did get to pet the young lambs and goats by paying £1 to enter the petting enclosure. They were so fluffy and cute! 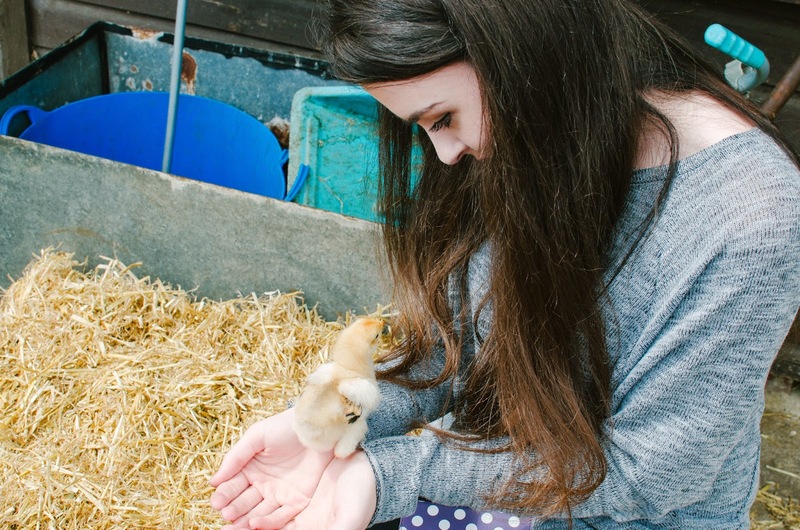 One of the workers had baby chickens out for the younger children to stroke but Louise got right in there and managed to hold one. Ah, so cute. We then bought some home made focaccia bread (which if you watch the vlog; I cannot pronounce properly AT ALL) with onion and rosemary on. Really warm and fresh which was cooked in an oven right in front of you. The farm was a really good couple of hours which brought back so many childhood memories of when my old nanna used to take me to one pretty much EVERY week when I was younger. I do recommend going during the week though to avoid children (and LOTS of the little minions). It was great to see so many people selling local produce too. There was people selling home made jam and chutneys, fabric quilts and throw overs, children's clothing and there was even a lady making chairs! The RSPCA were there too in full swing providing lots of information about wildlife and animal protection. It was a really great day. Now, now, now. What does Ashleigh do best? 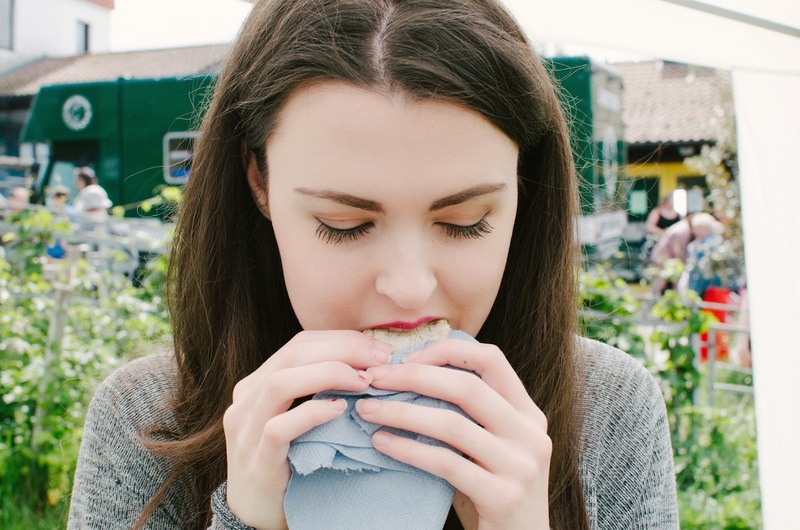 Ashleigh does food best. Next up; it was time for lunch! 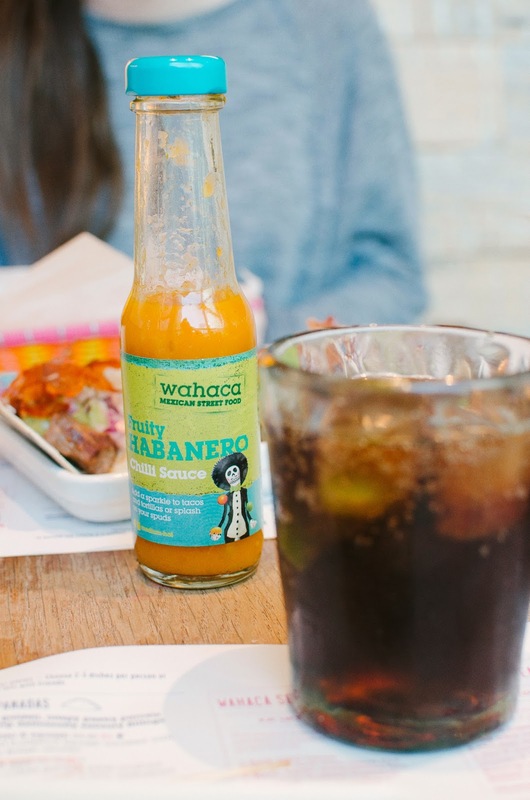 We headed over to Canary Wharf which is only a few tube stops away and had mexican at Wahaca. Louise had never been and I love introducing restaurants to people when they're completely new to them. 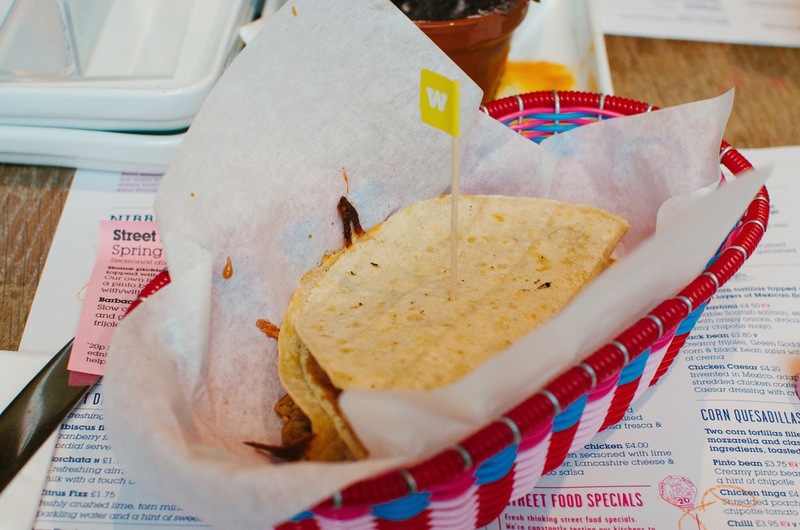 The good thing about Wahaca is it's more of a tapas style menu. Instead of choosing one main dish (although you can), you choose 2-3 smaller dishes. 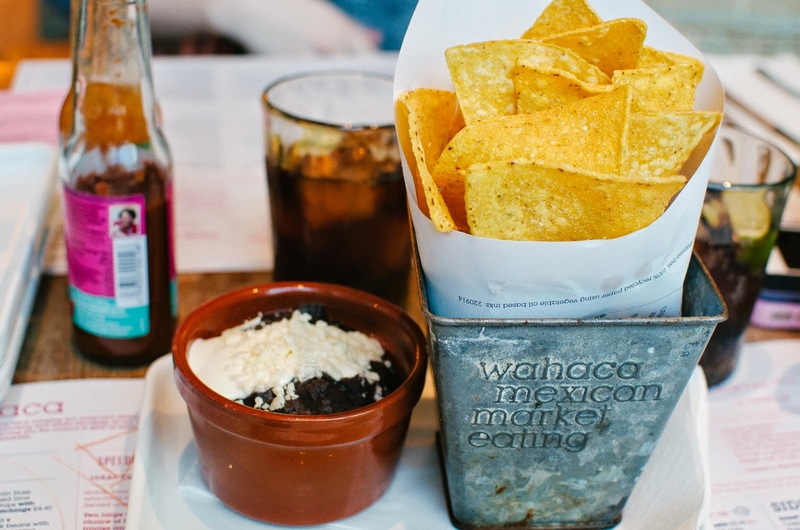 We started with some tortilla chips with a bean and cheese side. I loved them but wish I had got some guacamole too! Both of us got spicy chicken and tomato quesadillas which were so good. I love a bit of spice! 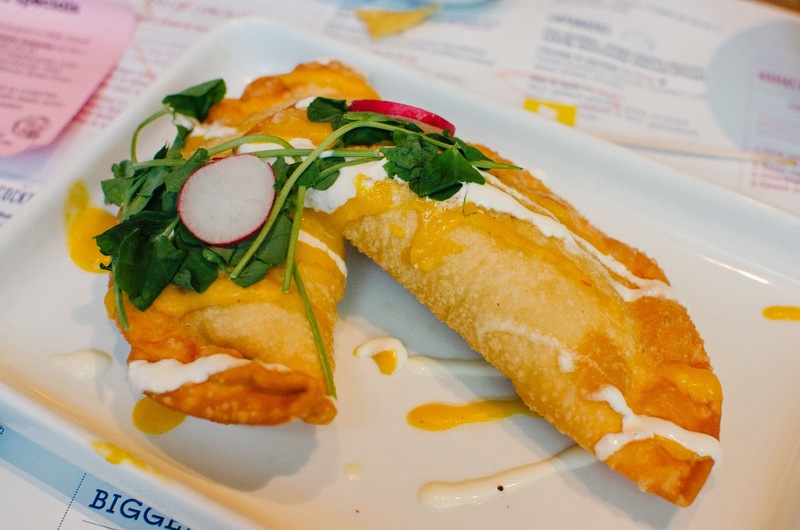 I also went for a veggie option and got pea and mint empanadas; golden and crispy pastry parcels stuffed with a savoury filling of peas, mint, crushed potato and feta cheese. 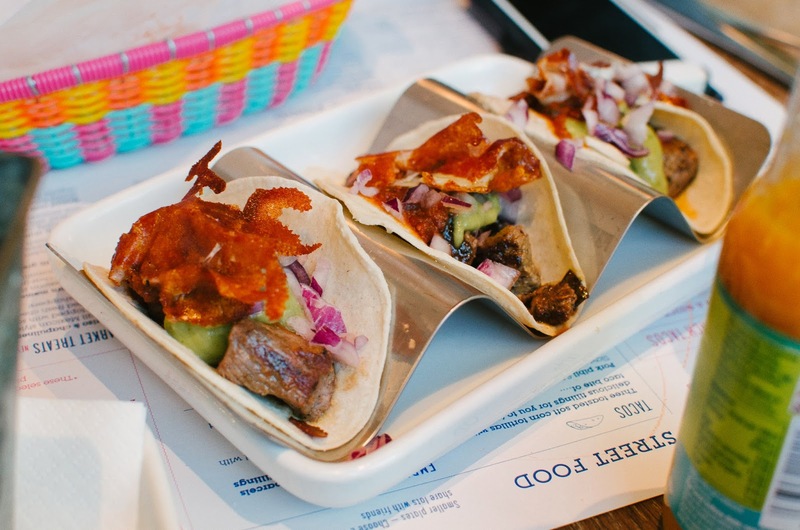 Finally, Louise ordered grilled British steak toasted corn flour tortillas which she could just about squeeze in! I think it's safe to say we both left feeling very stuffed and content with the whole day. Thank you so much to the guys at Talented Talkers and the RSPCA for the whole day. Oink! 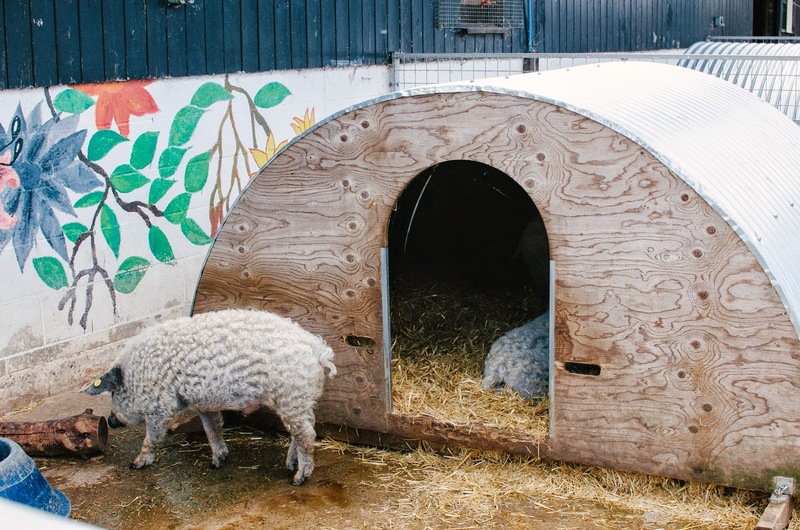 The farm is open 7 days a week from 10am - 5pm (until winter 10am - 4pm) and is free entry. 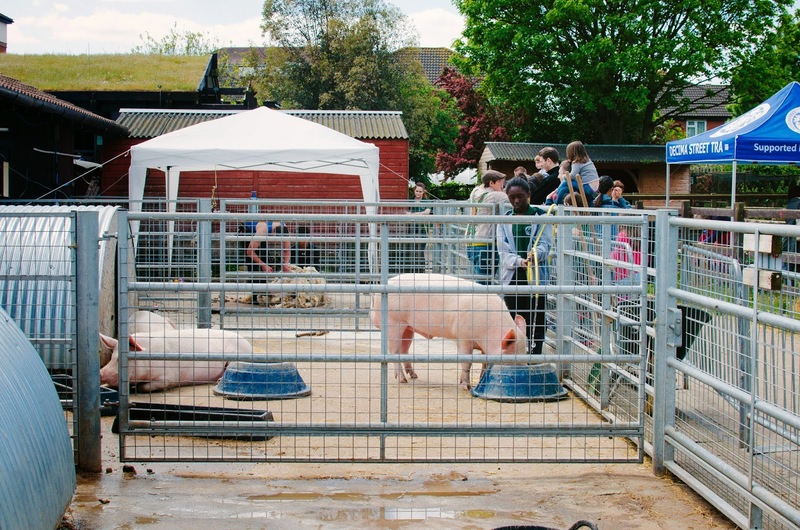 Haha, the petting farm was the BEST! I was so surprised to see you could get so close to them :) It was a great day! oh my, just look at all that food! this post made me super hungry!